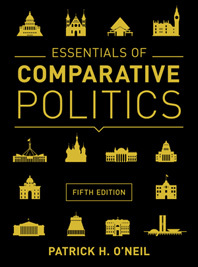 The Essentials of Comparative Politics family provides all of the tools professors need to introduce the study and comparison of political systems. A brief conceptual textbook of the core ideas behind comparative politics, a complete casebook of thirteen country studies, and a comprehensive reader of secondary and primary sources—together these give instructors the utmost flexibility in structuring their courses without asking students to pay too much. The Fifth Edition’s updated chapter structure helps students make connections between concepts in the text and the states examined in the cases. Every chapter opens with a compelling event—taken from headlines around the world—that establishes the chapter’s central focus. Revised “Institutions in Action” features examine a key institution from the opening case study country that affects the chapter-opening puzzle. At the end of each chapter, key concepts are summarized in discussion of the opening case study and puzzle. Every chapter of the Fifth Edition features learning objectives that help students identify key concepts. The learning objectives are also used as an organizing principle throughout the test bank, ensuring correlation between assessment and what students retain from the course. 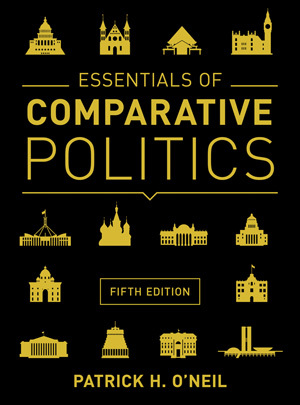 The three components of the Essentials of Comparative Politics family—textbook, casebook, and reader—can be used individually or in any combination. With the casebook and reader organized around the framework introduced in the core textbook, all work together to build on the basic concepts.